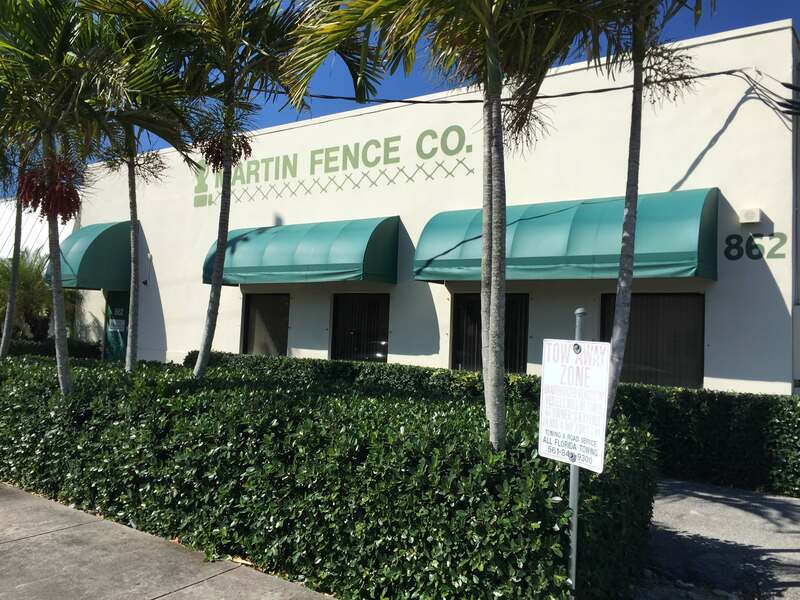 About Us | Martin Fence Co.
1979 was some year to start a business. Interest rates were close to 20% and we had a near “China Syndrome” at Three Mile Island. 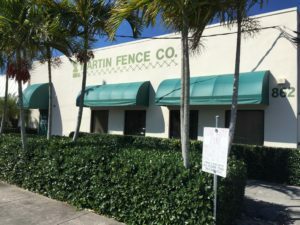 The brothers Greene, Marty, and Rob, started Martin Fence Co. on Old Dixie Hwy. in Lake Park – just south of the Kelsey City Gates. We had to sell an awful lot of 4’ Galvanized at $1.50 per foot to make it through those early days. $1.50 a foot! The hard way – without a smartphone, without a laptop, no GPS and no email. With a dial telephone and phone booths on the road (a pocketful of dimes) with adding machines and carbon paper for the “Customer” copy of the contract we signed. We did business with plenty of handshakes and got paid with cash or checks. Credit cards and electronic fund transfers were slow to arrive to fencing. We advertised in the TV guide section of the Palm Beach Post because, they said, people kept it on their TV table all week! The full page ads on the first couple of pages of the Yellow Pages usually got called first but with the name Martin we weren’t going to get one of those. Wish I had known they went alphabetically too – before we decided on the name! Yet we survived – we survived and we thrive because we adhere to a few tried and true principles. That all successful businesses have to subscribe to. Do quality work at a fair price. If mistakes are made – correct them. Be where you’re supposed to be when you’re supposed to be there. Be diligent and thorough. Call before you dig, get permits and inspections, pay your bills on time and pay your employees an honest wage. Keep everybody happy. Say “Thank You”. Those are the principles we value and look forward to serving you with for the next 40 years plus. Thank You.